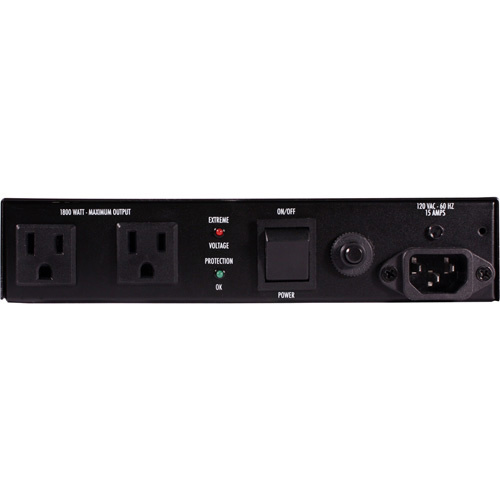 Furman Sound AC-215A Compact Power Conditioner - Individual Mounting Bracket includes SMP technology. Furman's Series Multi-Stage Protection (SMP) circuit features our exclusive Linear Filter Technology (LiFT) and Extreme Voltage Shutdown (EVS). Together, these technologies comprise what is, without question, the most advanced and comprehensive transient voltage surge suppressor. Weighing in at only 3 lbs., the AC-215A's compact, low-profile design makes it ideal for mounting to the back of a flat-screen television, or anywhere that discretely located, remote power protection and purification are needed.